Like many of us, the emerald ash borer is most destructive in its youth. As an adult, the beetle, about a third of an inch long, nibbles on the leaves of ash trees and is more notable for its striking metallic green coloring than for its appetite. 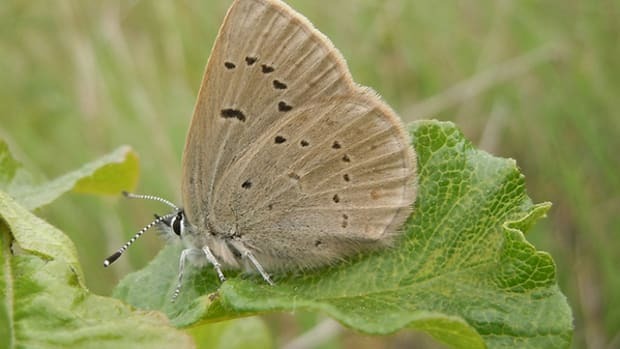 But as a worm-like larvae, it greedily bores through the inner bark of those same ash trees, destroying the tree’s ability to move food and water, and marking it for death within a season or two. Accidentally introduced to the Michigan area a little under a decade ago, probably a stowaway on a wooden packing crate or palette, the Asian immigrant has spread throughout the Great Lakes region. It now threatens trees from Quebec to Tennessee, from Missouri to Maryland. A paper published today in PLoS One puts the likelihood of a new emerald ash borer, exact species unknown but with a voraciousness the same or greater, invading the United States at 32 percent. The rate of detection — a proxy for the rate of introduction — of borers has risen since the 1980s, collateral damage from greater global trade. The estimate builds off those trends. It assumes no new effort to interdict these unwanted immigrants takes place — exactly the opposite outcome the authors hope to see. Aukema and 11 co-authors, including a sizeable contingent from the U.S. Forest Service, have calculated the precise economic damage that invasive insects have caused forests in the continental United States. The group discovered that homeowners and local governments — and not necessarily timber companies — are being hit the hardest by the invasives. The paper looks at three “guilds” of insects — borers, sap feeders and foliage feeders — and mapped out the impact across government, the citizenry and timber owners. By far the greatest excitement came from boring insects: the emerald ash borer and peers such as the Asian longhorned beetle, cost local governments an estimated $1.7 billion a year and homeowners $1.6 billion ($760 million is spent on replacing or removing trees, and $830 million in lost property values), according to the researchers. Forest landowners took a $130 million loss, and the federal government $92 million, in comparison. Foliage feeders such as the gypsy moth cost the nation $868 million, $410 million of that attributed to reduced residential property value. Sap feeders, such as the hemlock woolly adelgid, cost $578 million a year, $260 million from property value loss. In funding several working groups examining the impacts and ways to defeat invasive forest pests, the conservancy hopes that seeing the substantial losses presented in black and white might make fighting invasives a policy priority. There have been champions, like the U.S. Department of Agriculture’s Animal and Plant Health Inspection Service or the International Plant Protection Commission, but their work can get washed away in the fire hose of daily crises. Toomey and Campbell explained that they want to see regulations and practices that keep the pests out in the first place rather than focusing on winning battles after the bugs already have a firm beachhead. “It’s pretty hard to shove these things back in the bottle once they’re out,” said Campbell. 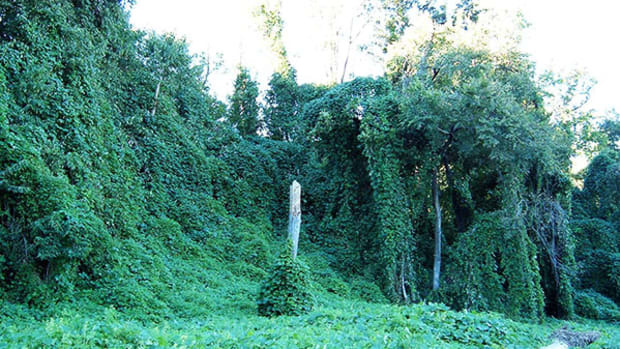 This paper is not the first to put a price tag on the costs of invasives; a landmark 2001 paper lead by Cornell University entomologist David Pimentel, for example, has been a standard reference in looking at aggregate costs of invasive plants, animals and microbes. Imperfections like double counting, failure to account for uncertainty and using stand-ins for resources, plus a dearth of data on lower-order insect threats, plagued earlier estimates. The estimates cover a broad range of economic activity, but the precision comes at the price of excluding some less well-documented threats, and so, in a sense, gives a lowball estimate of the larger problem on invasive species. Besides focusing solely on forests, for example, the study also leaves out pathogens such as sudden oak death, chestnut blight or Dutch elm disease and ignores internal migrations of pests, such as the oak borers from Arizona that killed tens of thousands of coastal live oaks in Southern California. But the framework they developed to make their estimates is flexible and can be expanded, Aukema said, for other natural resource issues that follow an infestation (say fire or disease) or to other regions, from cities to nations. One of the threads of Aukema’s paper, and of related working groups funded by The Nature Conservancy, is that smart policies can reduce these costs and the probability of new arrivals. The successes in keeping the gypsy moth from spreading is an encouraging historical precedent, although stopping the bugs at the border — or even at the source — would be even better. “The most cost-effective action is to prevent these pests from getting in the country in the first place,” said Toomey, with detection and containment unfortunate requirements after that fails. One effort that another working group is studying is the International Plant Protection Convention’s standard for treating wood packaging used in global trade. Campbell said that treaty’s results so far have been disappointing, both because some shippers are cheating and because treatments like heat treating or fumigating haven’t worked as well as hoped. Meanwhile, the USDA is revising its regulations on importing live plants. That trade actually brings in 10 times as many invasives as does wood packaging. He explained that since 2006 the conservancy has been a member of the Continental Dialogue on Non-Native Forest Insects and Diseases, a “collaborative coalition” of about 50 stakeholders from industry, government and academe. A persistent pest from China chomping on American trees spotlights the economic and aesthetic damage that foreign species may cause in new environments.